Kennametal is the leading manufacturer of metal cutting tools in North America, and is known for producing premium cutting tool products that will improve your industrial processes and enhance productivity. 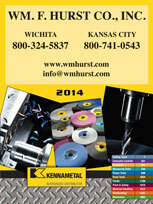 If you operate a machine shop in Kansas City, Wichita, Dallas, or Fort Worth, you can get your Kennametal tooling by turning to Wm. F. Hurst Co., LLC. We have been in business for more than 50 years and, as a leading industrial tool supplier in the Midwest, we’re proud to offer the complete Kennametal product line. Whether you run a CNC lathe in Dallas, or a high speed machining center in Wichita, we have the ideal cutting tools for your application. 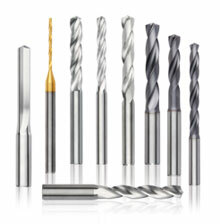 Along with an unmatched selection of metal cutting tools, we have outstanding customer service. Our staff has been factory trained and responds quickly to our customers’ needs. Plus, because our employees have successfully completed Kennametal’s Certified Metalcutting Professional program, you can trust them to recommend the tools that will enhance your processes and reduce the cost of your operations. To learn more about Kennametal carbide cutting tools or other products, including assembly tools and abrasives, contact Hurst today. We are happy to serve customers Kansas City, Wichita, Dallas, and Fort Worth.